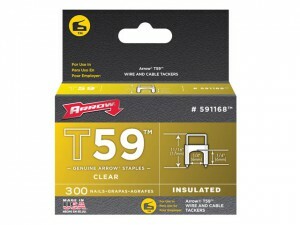 Arrow T59 Insulated Staples have the following specification: Size: 6 x 6mm.Colour: Clear.Quantity: Box 300. 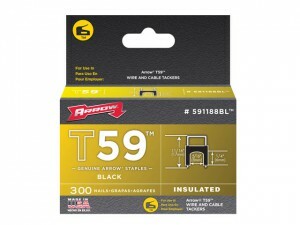 Arrow T59 Insulated Staples have the following specification: Size: 6 x 6mm.Colour: Black.Quantity: Box 300. Arrow T59 Insulated Staples have the following specification: Size: 6 x 8mm.Colour: Clear.Quantity: Box 300. 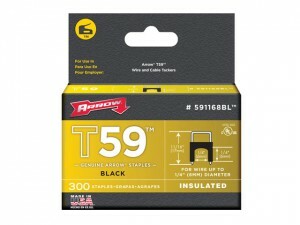 Arrow T59 Insulated Staples have the following specification: Size: 6 x 8mm.Colour: Black.Quantity: Box 300. 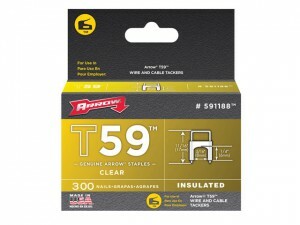 Arrow T59 Insulated Staples have the following specification: Size: 8 x 8mm.Colour: Clear.Quantity: Box 300. 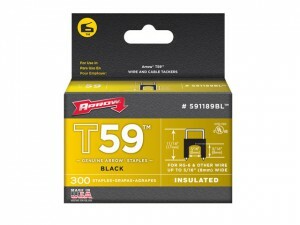 Arrow T59 Insulated Staples have the following specification: Size: 8 x 8mm.Colour: Black.Quantity: Box 300.